You can license this software either for installation on your own servers or servers you control in the cloud. 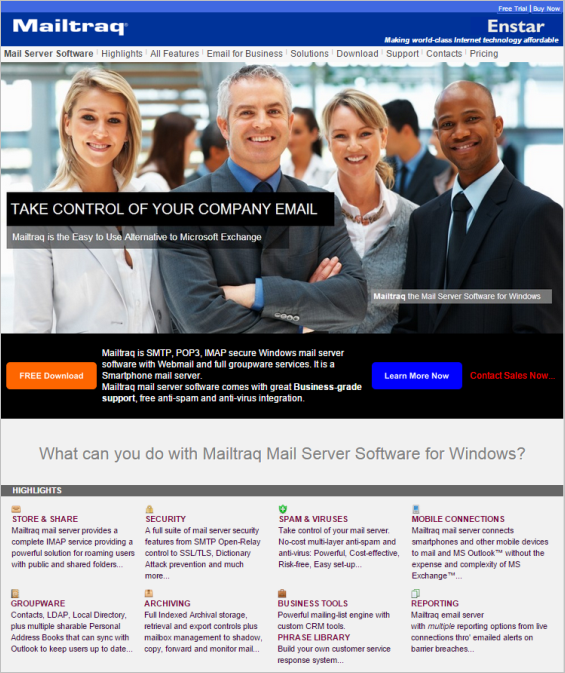 Visit the Mailtraq website to learn more and purchase a license for this software. Mailtraq is used by companies of all sizes throughout the world. From micro businesses with 5 users through to large corporates and government departments with thousands, they all rely on Mailtraq for their email handling.